There are huge advantages to putting together your own gaming PC. Not only does it open the door to a whole new world of top-of-the-line gameplay experiences, it can also be a significant professional asset; a computer can do a heck of a lot more than play video games, after all. Power – PC games look terrific, especially in higher resolutions, and with frame rates that consoles can’t match. Upgrade Friendly – A GPU or CPU upgrade can keep your PC running new games at decent settings down the road, and doesn’t require you to replace the entire thing when something better is released down the line. Huge Gaming Library – Some games never appear on consoles, not to mention a gaming PC also allows you to get into retro gaming. It may take some work, but you can run just about any PC game released in the last twenty years, and that’s a huge leg up over consoles. Keyboard and Mouse (KBAM) control – KBAM control for shooters is exponentially better than analog sticks. If you’re into shooters, it’ll be a tremendous adjustment, but once you get used to the speed and precision of KBAM control, you’ll never want to go back to analog sticks. And if you are a controller loyalist, you can use one on a PC as well…though you’ll probably find yourself not interested once you master the mouse. Productivity – A gaming PC is also great for way more than gaming, including video editing, Photoshop, illustration, and other content creation. What should you start with? We put together these suggestions for gamers interested in moving from consoles to PC for the first time. 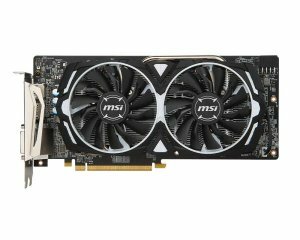 This build will give you good performance with modern games at 1080P, and allow you to upgrade in the future, while keeping prices relatively reasonable. Of course, the sky is the limit when it comes to spending money on parts, but this is a reasonable place to start. An optical drive – DVDs, Blu-Rays, or CDs have fallen out of popular use, and affordable external options are available for those who really want to preserve their access to physical media. RGB LED bling – In an effort to keep costs down, we’re foregoing blinking lights. RGB lighting is fun, and can absolutely enhance your gaming experience, but it isn’t strictly necessary. For a thorough guide on how to put everything together, check out our “How to build a PC” video. CPU is short for “central processing unit”, and is essentially the brain of the computer. 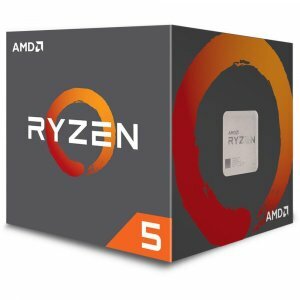 The two main companies that manufacture desktop and laptop CPUs are Intel and AMD, and they’ve been slugging it out for decades. Their fierce competition has benefited consumers all that time, as it’s kept prices somewhat lower, and spurred research and development. For this build, we decided to go with the Ryzen 2600X, which has six cores clocked at 3.6 GHz, with a max boost clock of 4.2 GHz. Note: while the 2600X can be overclocked, you’ll need a bigger, more powerful CPU cooler to do so, but even running at standard clock speeds should be plenty for an entry level gaming build. The GPU is your CPU’s partner in crime, and helps provide great graphics for modern games. The RX 580 represents a great deal at this price point, especially when you consider that as of publication, it comes with two free games! The AMD RX 580 because it’s roughly on par with its competition, the NVIDIA GTX 1060, but comes in at a lower price point. Also, both NVIDIA and AMD have competing gaming monitor technologies, G-Sync and FreeSync, respectively. Both of these standards help reduce graphical tearing and stuttering, but FreeSync is an open standard, and thus monitors equipped with that feature are almost always cheaper. Check out our monitor recommendations below for more specific information. The motherboard is the circuit board where all your other components live, and what allows everything to communicate. They are remarkably complex pieces of tech, but all you need to know for now is that this is a relatively straightforward, basic board that will get you up and running. 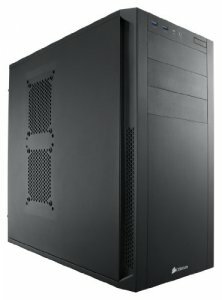 It doesn’t have a lot of room for expandability (hence the low price), but it has a PCIe x 16 slot for your GPU, which is what really matters for the purposes of this build. RAM is short for “random access memory” and acts as the very fast short term memory for your PC. This Ripjaws kit is a bit pricey when compared to slower RAM options, but the Ryzen 2600X CPU really benefits from the extra speed. 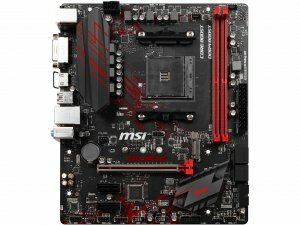 This build includes two separate drives. The Samsung 860 EVO is a solid state drive (SSD). This is where you’ll install your operating system and other frequently used programs. SSDs are a little more expensive that HDDs, but they are significantly faster. The big old Western Digital Blue drive is an old school hard disk drive, which is slower, but has a great dollar to gigabyte ratio. This is where you’ll store the majority of your files and games. The power supply unit (PSU) pulls the required amount of power from your AC power socket and provides DC current to your PC. Gaming builds can be pretty power hungry, but this SeaSonic unit should fulfill this PC’s large appetite. This is a fully modular unit, which means that you won’t have any extra cables trailing out of PSU, cluttering up your case. This is where all the components are going to live. 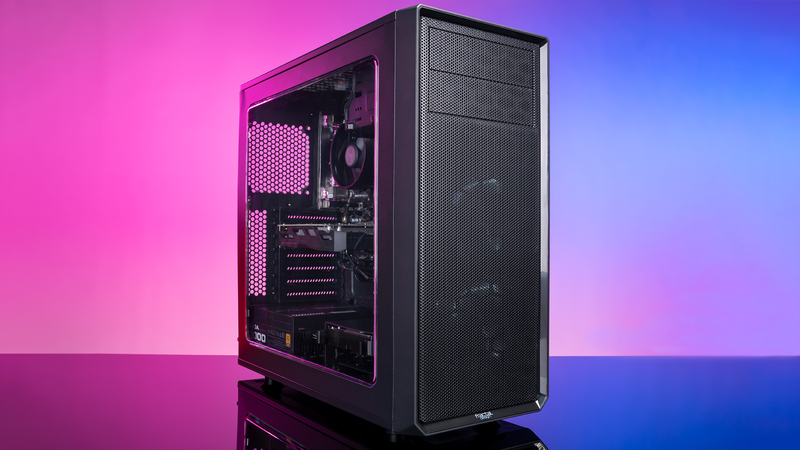 It’s a fairly straightforward, affordable option, but it’s got decent cable management options, and also includes two 120mm case fans, so you don’t need to buy any additional case fans unless you feel deeply compelled. It’s not going to win Miss Flashing Lights 2019, but it’ll get the job done with style and reliability. If this is your first PC build, you’ll need a few peripherals. If you have mice, keyboards, and monitors already sitting around, feel free to use them! But if not, here are a few suggestions. 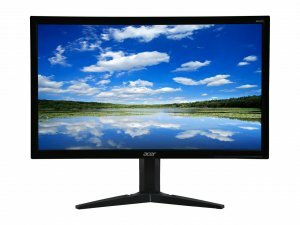 This 21.5” gaming monitor includes FreeSync technology, which takes advantage of your AMD GPU in this build to prevent tearing and stuttering. Keep in mind that this is a TN panel, which means that the viewing angles are somewhat limited, but the price is excellent. You can really go absolutely mad with speakers. Price-wise, the sky is the limit, but if you just want to get the job done, this setup will do it. As a side bonus, it also has a front facing headphone jack so you don’t have to run your headphones wire over to your PC’s case. Don’t expect room-shaking bass, but they’re crisp enough for most games. You can definitely cheap out on mice and get a $25 KBAM set, but I strongly recommend a gaming mouse with some extra thumb buttons. It’s great to have an extra mouse button to melee attack or throw a grenade without moving your fingers from the WASD keys. If you really want the best keyboard experience, you’ll want to go mechanical. Mechanical keyboards have a much better click feel than normal membrane keyboards and usually have a shorter key travel distance, which is ideal for gaming. 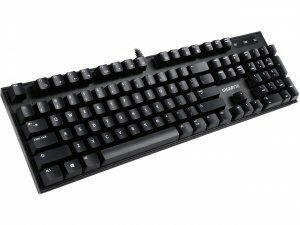 If you want to step it up a bit, but have a limited budget, this Gigabyte keyboard has excellent switches, and a remarkably low cost, perfect for our build. A new Windows 10 license is probably the least exciting part of any new build, but you still need it, unless you’re using a free operating system like Linux. There’s nothing worse than booting up your brand new system, and realizing you don’t have an OS. That’s it for this intro to PC gaming build! With these components you should be playing AAA titles in no time, at a perfectly reasonable price point.